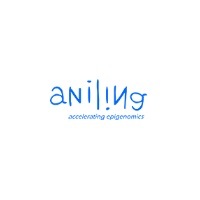 Aniling develops products for the field of DNA sequencing. Committed to bring progress to diseases prevention, his aim is to accelerate the access to scientific advances in genomics and epigenomics by developing technologies with applicability as a primary requirement. His first product is a reagent (formula) which is incorporated to the sequencing process, with three differential advantages: obtaining information about the genome and the epigenome in a single experiment, with clinical qualilty and reducing costs and time of analysis.